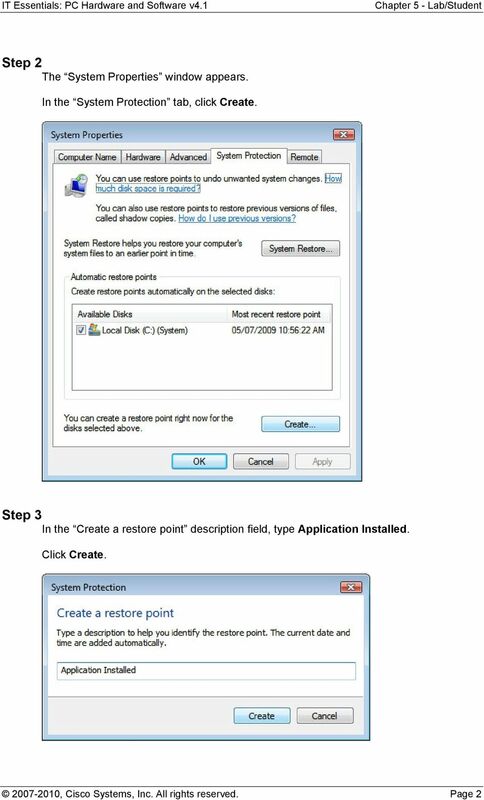 Download "5.6.2 Optional Lab: Restore Points in Windows Vista"
5.6.3 Lab: Registry Backup and Recovery in Windows XP Introduction Print and complete this lab. 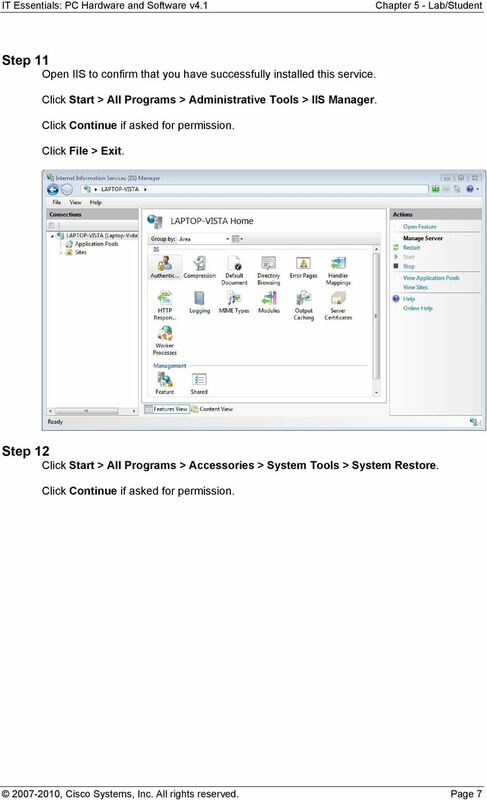 In this lab, you will back up a computer registry. 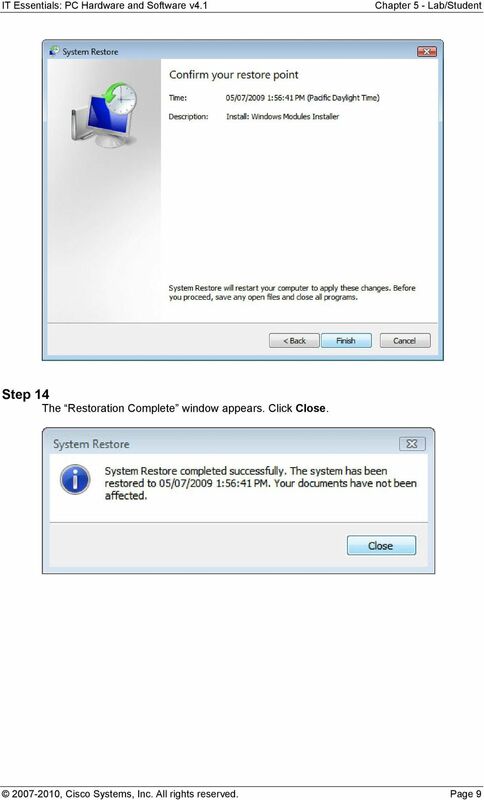 You will also perform a recovery of a computer registry. 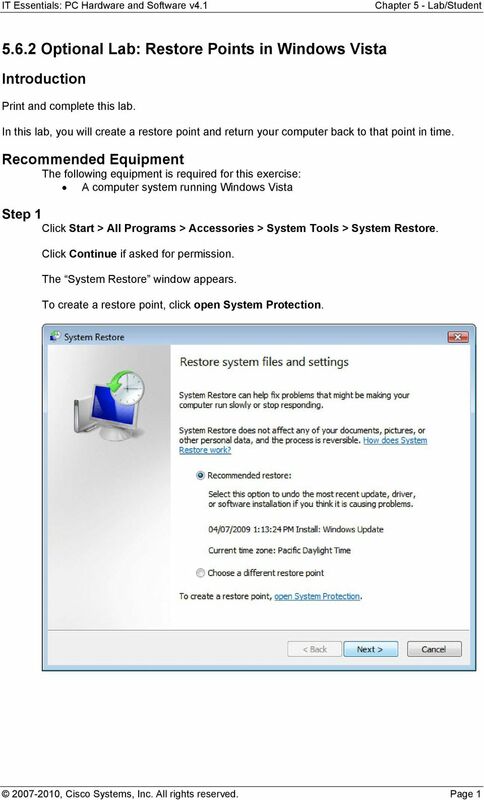 MTA Course: 10753 Windows Operating System Fundamentals Topic: Understand backup and recovery methods File name: 10753_WindowsOS_SA_6. 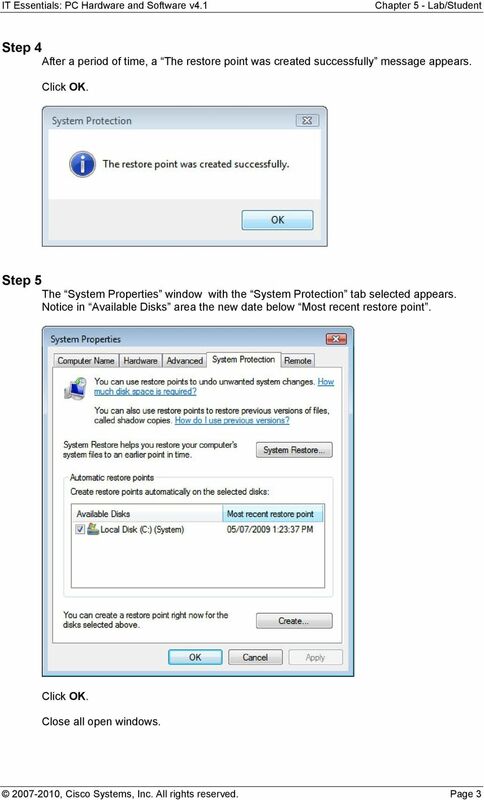 In this lab you will explore the Windows XP Firewall and configure some advanced settings. 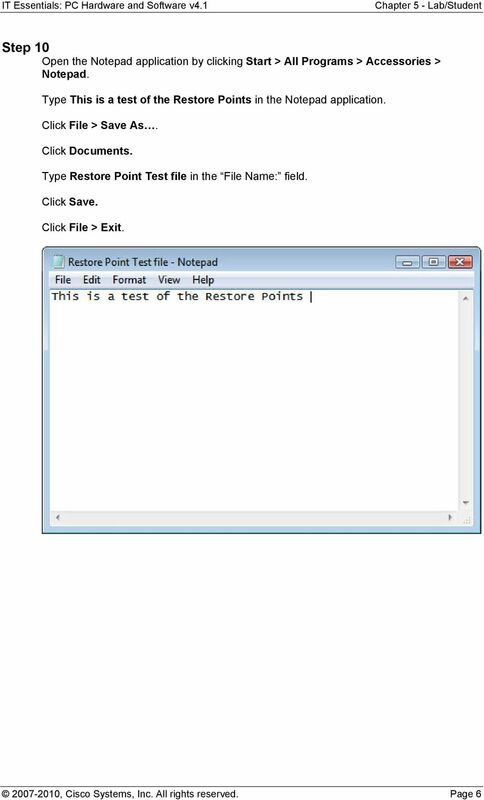 Rational Application Developer v7.0 (RAD7) trial version. 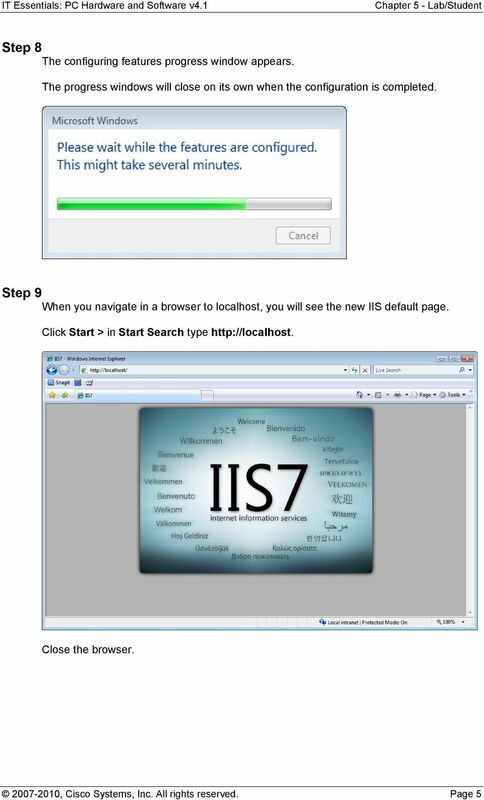 Installation guide. 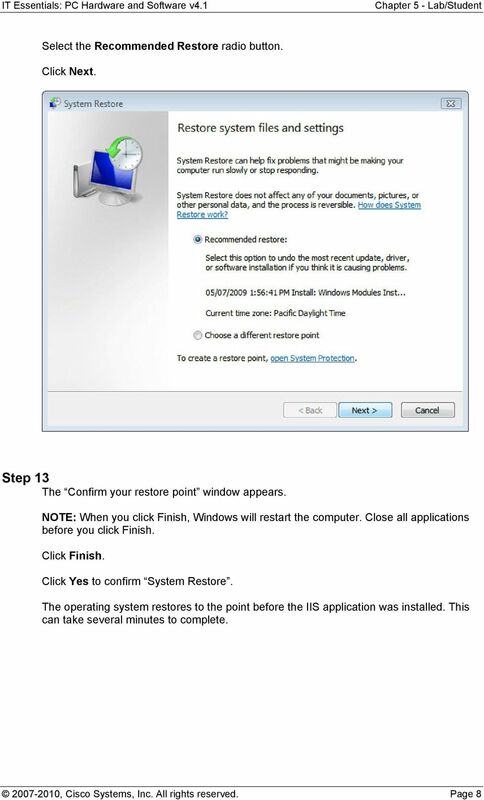 Warning: You cannot use ghosting or disk imaging to install this software. 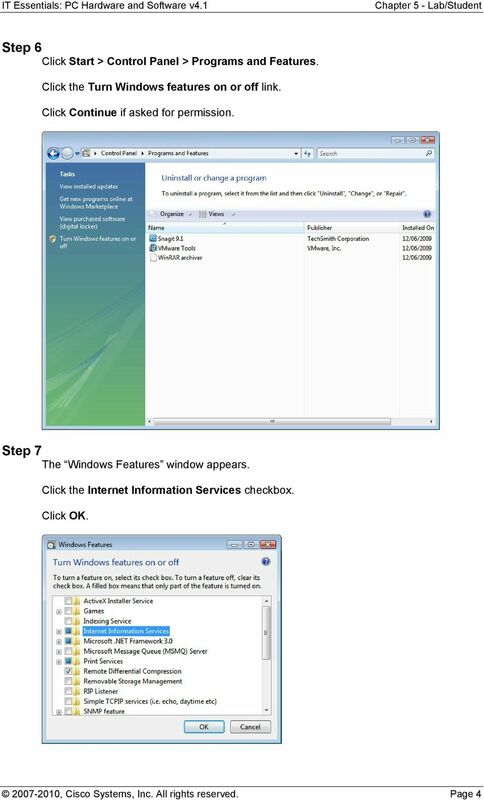 You must install the software on each machine separately. 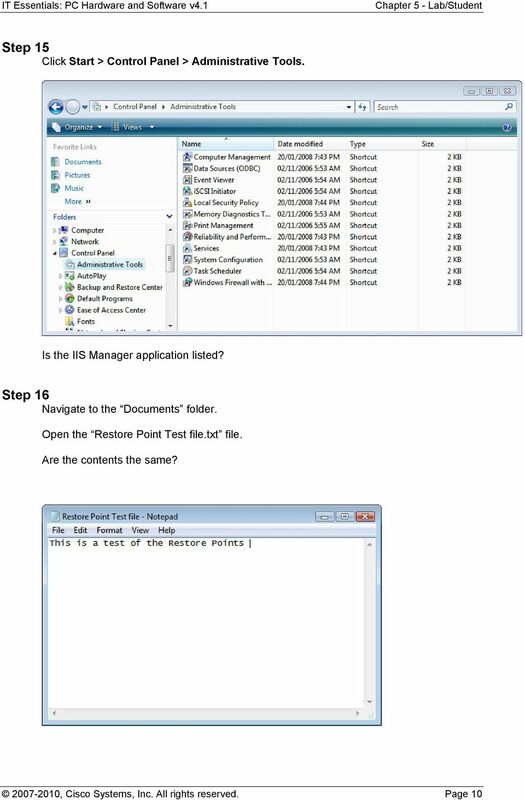 Publish Cisco VXC Manager GUI as Microsoft RDS Remote App This appendix provides a step-by-step guide to publish the Cisco Cisco VXC Manager GUI as a Microsoft Remote Desktop Services (RDS) RemoteApp application.